I’ve been thinking a LOT lately about what it means to be a Christian. I remember a time when I worked in the youth group with a bunch of 8th-grade guys, and I asked them what it meant to be a Christian. I was pretty new to this whole church thing at the time, and I really wanted to figure out what to do with it. Okay, so they told me a whole bunch of things that they DON’T do, but I wanted to know what they DO that shows what it means to be a Christian. That part stumped them. I’m really excited about a new project that I’m taking on with authors Dillon Burroughs and Daniel Darling. It’s a project that we’re calling Activist Faith. The foundation of it is a book that we’re co-authoring together. 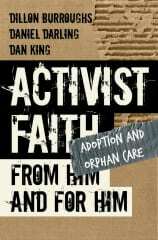 Another part of it is a website (ActivistFaith.org) that we’re developing as ongoing support for the idea. But more than anything else, this project is talking about a movement. Not one that we’re trying to create, but one that we already see happening. One of the best thing about this movement in my mind is that it’s for everyone. This isn’t about a couple ‘important’ people making their voices heard and making things happen. It’s about every single man and woman that sits in a church pew on Sunday mornings (and several who don’t) doing something awesome in response to the amazing gift that we’ve been given. If I’m completely honest, I was a little intimidated about taking on a project like this with guys like Daniel and Dillon. I’m the only guy on this team that’s not fully seminary trained and in some major leadership role in the ministry. I’m the epitome of the term ‘laity’ in the church. But I’ve come to realize that this is the beauty of my role on this team. I represent the ‘everyday activist’, because that’s exactly what I am. Being an everyday activist doesn’t mean that you need to quit your job, sell all of you possessions, and move to a third world country to feed starving children. In fact, once might even argue that staying in your job while finding ways to impact the world around you may even give you greater opportunities to discuss your faith with co-workers. Being an everyday activist simply means that you’re taking advantage of the opportunities that are right in front of you. And when you do, to do it with the full devotion that you would give if you were serving Jesus Himself. I see my role in this as being a support to you, and providing you the information and tools you need to succeed in the work you do. 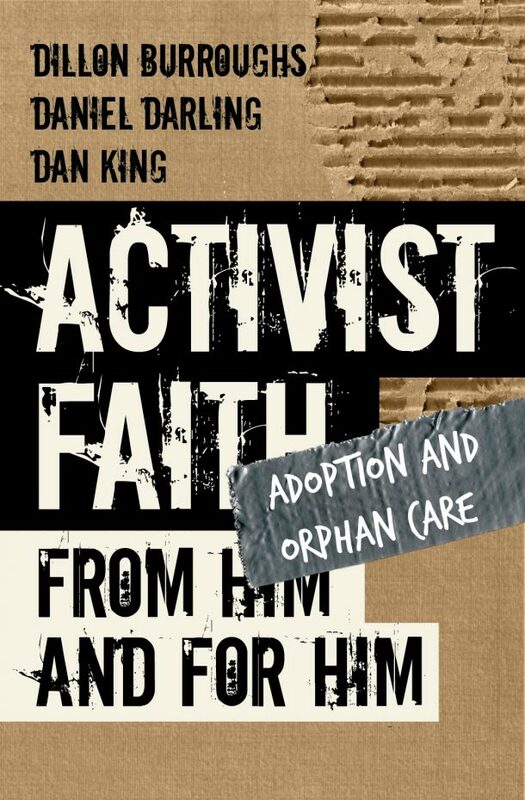 This Activist Faith thing is a movement that really excites me! And I mean it excites me down to the core of my being. The opportunity to show the love, grace and compassion that’s been given freely to me is an act of worship that seems equal to little else. So what does it mean to you to be an activist with your faith? Do you feel like you have a responsibility to impact the world around you? What issues are important to you? Which ones do you think are important to God? I’d love to hear the stories about the work that you’re doing. It doesn’t matter if you are ‘only’ sponsoring a child through an organization like Compassion or Children’s Hope Chest. If you’re doing something to change the world because of your faith, I want to hear about it (especially if it’s in one of the four areas that I just listed). I pray that God raises up ‘everyday activists’ like you and me all around the world to do His will, and make a greater difference for the sake of the Gospel. Amen. I’m so excited about this project. This is a topic near and dear to my heart – as I firmly believe that part of our Christian faith is speaking out and acting on behalf of those who have no voice. I’ve always been good about the speaking out part, but this season of my life I find myself trying to be more intentional about the acting part.